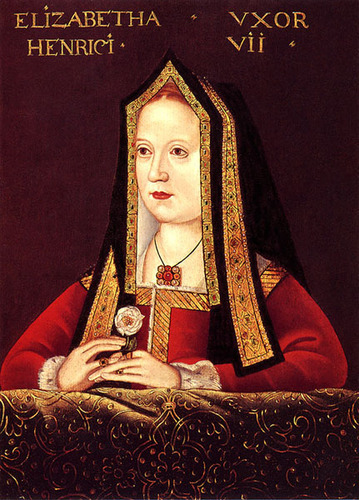 Elizabeth of York, Queen Consort of England. Wife of King Henry VII and mother of KIng Henry VIII. Artist unknown c 1500 painted holding the white rose of her family.. Wallpaper and background images in the Raja dan ratu club tagged: elizabeth of york queen elizabeth queen queen consort england tudors royalty monarchy.